For every $100 raised, one person who donates at least $5 wins a copy of Jackbox Party Pack 5 on PC. Donate $10 or more to get entered to win 1 of 20 Jackbox Quintpacks on PC. 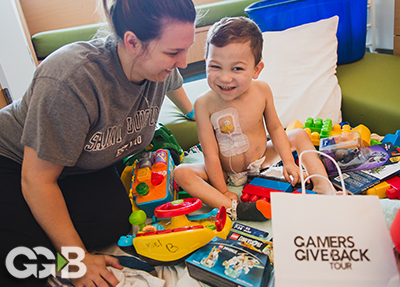 When we hit the $10k goal, donors of $5 or more will be eligible to win an Xbox One gift package, including GameChanger Charity and Child's Play swag.